Bruce J. Sarchet | Littler Mendelson P.C. With energy, enthusiasm, and intense focus, Bruce provides clients with superior quality work and exceptional client service and has earned a reputation as a hands-on problem solver. He provides consultation and representation to large, medium and small businesses across California in a variety of industries, including food and beverage, healthcare, transportation, technology, and construction. He also represents public sector employers. He crafts practical, real world solutions to workplace problems such as dealing with difficult employees and recognizing and balancing business realities and necessities with the need to minimize exposure to litigation. For unionized employers, Bruce frequently serves as chief spokesperson in collective bargaining negotiations and provides representation in grievances and arbitration hearings. He also represents employers during union organizing drives and unfair labor practice charges under the National Labor Relations Act. An animated, effective and entertaining public speaker, Bruce regularly makes presentations to local professional organizations on labor and employment law topics and has also presented numerous in-house training sessions and workshops to management teams at private and public employers. 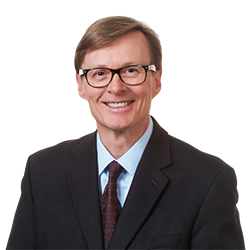 Bruce has published numerous articles for local business journals, providing practical, hands-on labor and employment law advice to small business owners. From 2005 to 2013, Bruce served on the firm's five-attorney Management Committee, which handles the firm's operations. In this capacity, he oversaw thirteen Littler offices in seven states. Prior to his selection to the Management Committee, he served as the office-managing shareholder for the firm's Sacramento office and served several terms as a member of the firm's Board of Directors. He also serves as the California coordinator and liaison for Littler’s Workplace Policy Institute (WPI). Bruce focuses on California state legislative and regulatory developments in employment and labor law, as well as municipal ordinances and regulation of the workplace. He assists the employer community in understanding and impacting California legislation before it becomes law. Prior to attending law school, Bruce was a high school social studies teacher and basketball coach for three years. How Will California's New Governor Approach Workplace Bills? Do New California Restrictions on Confidentiality Provisions Tie Employer Hands on Releases and Other Employee Contracts? Don't "Panic": A New Legislative Trend for Hotel Employers? Service Animals in the Workplace: Do You Have to Let the Dogs In? Federal Regulations: Reform on the Horizon? Can Workplace Violence be Prevented? Should Your Manager be Paid Overtime? Social Media Quandary: Who Owns Contacts? Why Should Nonunion Companies Care About the NLRB? Is your employee a ‘Private Attorney General’?